Button-front skirts were very popular in the 1970’s and now the trend is making a comeback in 2016. They first started reappearing in midi lengths last fall, but now I’ve noticed that many retail stores are gearing up for the summer season in mini versions. Thanks to my vintage addictions, I have a few denim and floral print button-front skirts in my stash that I can’t wait to whip out and style. 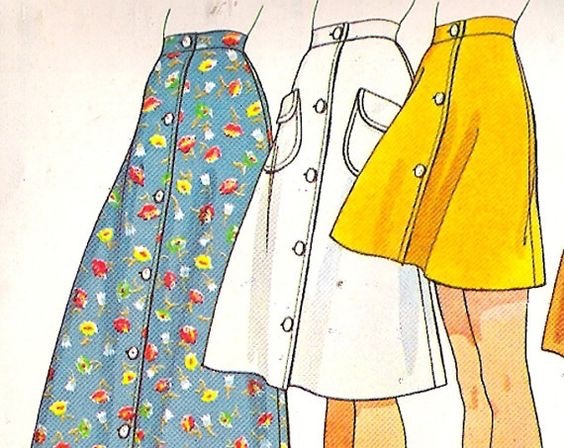 Seeing that this trend was very popular in the ’70s, there’s no doubt that you could probably find you one of these skirts at your local thrift store for a few bucks too. Who doesn’t want to save a little cash? Still trying to figure out if this style is for you? See how these celebs styled their button-front skirts, and then add your own twist to it. Is this one trend you’ll be wearing, or will you pass? Tags: button front skirts Summer 2016, fashion trends. Bookmark the permalink.